Hey, Gang. Just getting back into the hobby and I�m deep into sorting out some design considerations for a smallish layout. I thought I�d start a post here to see if anyone would like to follow along or contribute. I�m months away from starting any construction, so I think this will be a fun thought exercise in the meantime. In the next post, I�ll outline some design considerations. There are a few prototypes that I really admire, but haven�t quite convinced myself to go down the full-proto path. That said, everything about this layout should reflect prototype construction, operation, and equipment of the era. I live in Union County, spend a great amount of time in Sullivan County, and grew up in Northumberland County. My family is rooted in Shamokin, so I do have some anthracite in my blood. I�m most interested in modeling a small railroad working in one of the more remote and mountainous regions in central Pennsylvania. Locally, the White Deer & Loganton has a lot going for it. From 1906-1916, it pushed through the mountains for 26 miles from the west shore of the West Branch Susquehanna to the small Sugar Valley town of Loganton. It was a 3� narrow gauge road with 28-ton Climaxes and met the P&R along the river. Short-lived, but really interesting railroad that allowed Sugar Valley communities to grow until the roads and automobiles arrived. This is the kind of story I want to tell. While not necessarily following a single, specific prototype, I want to tell the story of a community that survived because of a rugged little short line railroad. This story was repeated dozens of times at the beginning of the 20th century in the mountains of Pennsylvania. For starters, I�d like to work out the design elements and a track plan that reflects this era and local. Bellow are bullet points with some of the particulars I�d like to accomplish. * Mid-point or terminus of a short line - approximately 20-40 rugged miles from interchange with Class I railroad. * Possible other online customers - coal/firewood dealer, lumber/building supplies, supply/general merchandise company, stockyard, farm co-op/feed & seed/mill/grain, or...? * Turntable? Not sure... they eat up space and several prototypes never turned the locomotive. Though I can�t find any trackage maps for the White Deer & Loganton, all of the images I�ve been able to find show the Climax pointing �up hill�. * Structures offline are as important to the story as those that are rail-served. * Interchange with Class I is off-layout. Engine servicing is off-layout, though water should be available. * Mixed local trains - 4-5 cars, engine, caboose; ~40�-48� consist. I�ll be sprinkling in some prototype photos for inspiration and discussion as the conversation develops. This should be fun! Thanks in advance for any and all contributions. Sounds like you have all ready put a lot of thought into the layout which is a great way to start, and I like all your planning so far. 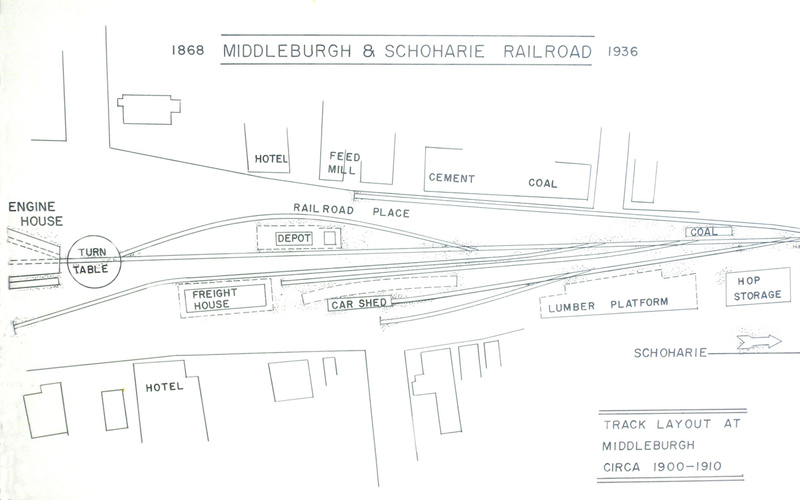 While I don't have a track plan to fit your exact Given & Druthers, I wanted to share a layout I did based on the Middleburgh and Schoharie Railroad with you. I am only looking at the footprint of your space (24"x96"), as this layout matches that perfectly. Plus it is based on an actually location in the time frame you want, and keeps the track work simple, but prototypical. 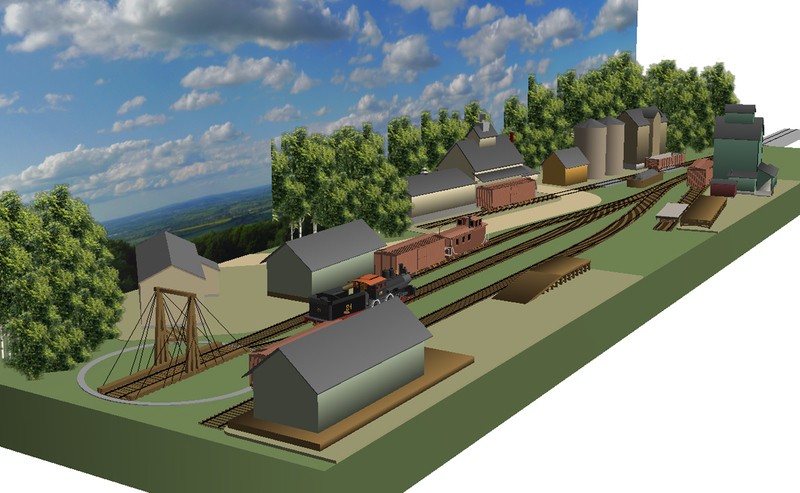 The layout depicts the town of Middleburg (NY) based on a track layout of the station from 1900 to 1910 which I also included below. 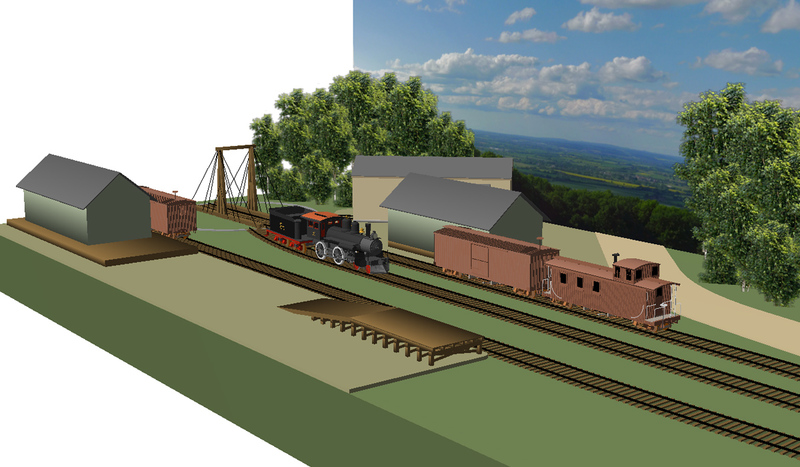 The client I did this for wanted to model 1876 when this line was 6-foot broad gauge, but that can easily be changed. There are also a good variety of customers (only generic structures shown), so it should easily support an op-session in the 45-60 minute range. At the very least, I hope it provides some food for thought if you decide to go with a freelance version of your plans. Rob, this is excellent! I was hoping you would chime in as I really enjoyed going through your two very long threads in the design forum. Wasn�t sure if you checked in here with the early rail gang. I like this layout a lot, and really appreciate that it was taken from a prototype location. 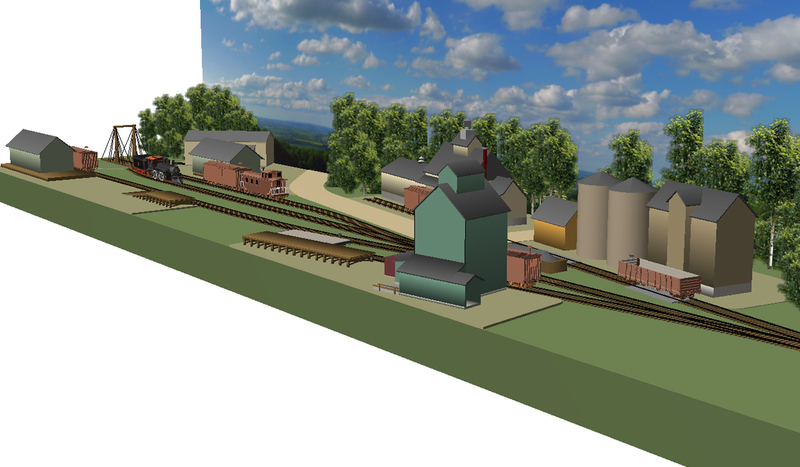 I�ve been collecting track plans that are inspiring - both prototype and model and this is certainly going in the file! Anything on here posted with "Layout Design Help" in the title usually gets my attention. I don't check in everyday, but I am still around. If you have prototypical track layouts for a few stations, they might be worth posting. I would like to see more of what what you have in mind/like. I�ll be following along, interested in your project. It sounds like you�ve already put considerable thought into your goals and constraints. Your photo above is a real winner and I look forward to seeing you post more as you indicated. A few random thoughts . . .
- turntable: yes, a space heater but Rob�s trackplan has a lot of merit because the turntable replaces a turnout necessary for a runaround. - interchange: when you mentioned this I immediately thought of the LV and their interchange with the Jennings Brothers lumbering in Pennsylvania. - information: I assume you have or are familiar with the thirteen volume set of books by Tabor and others on lumber railroads in PA. I don�t remember many trackplans in the couple of volumes I have but I can check. I�ll put up some track plans and prototype photos when I get home. Tough to do from my phone. Appreciate the input. Mike - The logging books gave me heart palpitations when I saw the price, but I do see their value and I�m going to pick up vols 1-4. Nice that they organized these by geographic area. I was hoping that you would follow along as I really admire your modeling. The LV was the Class I in Sullivan County, and if I go that route I hope you�ll contribute some of your knowledge. Lopez is a really neat town, but I haven�t been able to find much on the trackage there. 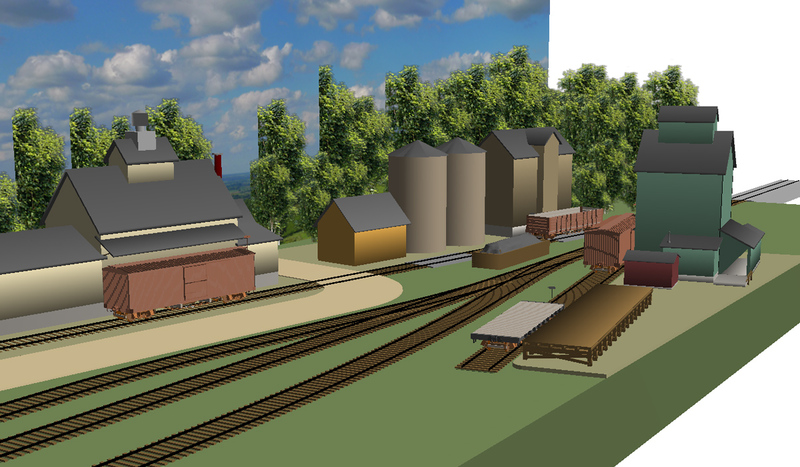 Maybe there�s something in your LVRR materials? This is fun, isn�t it? I know that I find it fun doing research, exchanging information, planning and building. I have volumes 3 and 12. Can send you a map of Lopez if you PM or email me your contact information. Looks like you're enjoying the research and cogitation phase! (Which I see as a good thing!) Looking forward to continue progress! More soon, but here�s Lopez. That�s an interesting photo. I think I�ve built a model of the low-sided gon. The other one is a double-hopper coal gondola which is obviously suitable for carrying lumber. I believe in the �achievable layout�, �one-town layout�, TOMA mindset. Trevor Marshall�s S-scale Port Rowan is almost everything I could want in a layout. If I had the room, that is the style of build I would do. It�s a big inspiration for me. As it is, I�m going to try to achieve something similar in HO or HOn3 in 2�x8� + 2�x4� of scenic staging... including a traverser. Here�s the type of prototype images and track maps I�ve been researching for the last year. White Deer & Loganton at Loganton, PA c.1907. This is a photo of the prototype and the prototype LOOKS LIKE A MODEL. The viewing distance of the photographer is similar to our viewing distance on a layout. The scenery is modelable and the road heading to the water gap looks like one of Tom Jackson�s or Jim Six�s backdrop tricks. Here�s another view. I haven�t been able to find trackage maps for any of the WD&L, but here at the terminus, not much was happening. Passenger depot, maybe a runaround, team track. There were coal dealers and lumber needs in the valley, so maybe a siding to service a business or two, though I can�t confirm anything. There was supposedly an engine house and a wye for turning the engine, but most photos I�ve seen seem to all show the Climaxes with the smokey end �uphill�. Whatever... this image make you think �small frontier mountain town�. Achievable. Realistic operations with a good amount of interest? Yet to be seen. 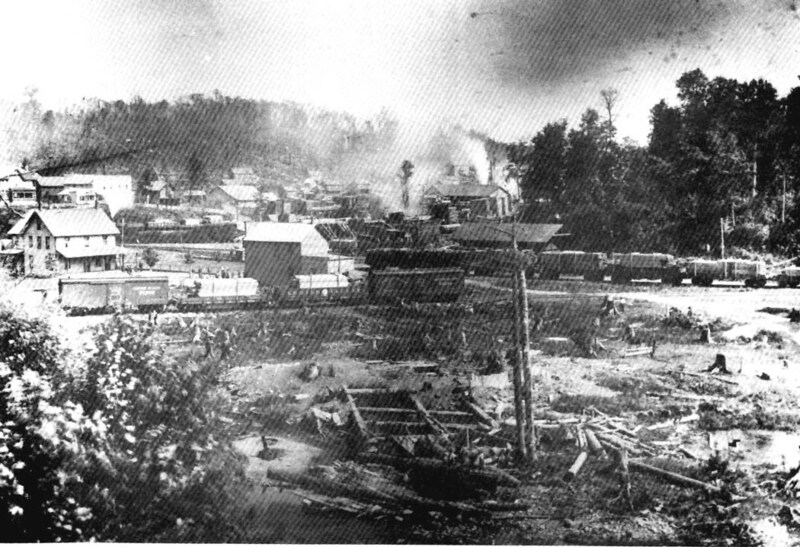 Lopez, in Sullivan County, c.1907. Lopez would absolutely make for an achievable, one-station layout for someone with a little more real estate. The depot and interchange with the Jennings Brothers 3� railroad could probably be done in HO/HOn3 in 2�x8� + 2�x4� with a traverser. Or have a lot of fun in that space by modeling the clothespin and broom handle mill. Big logs go in, tiny logs come out. Anyway... here�s a neat colorized image of the LVRR depot and the surrounding trackage. 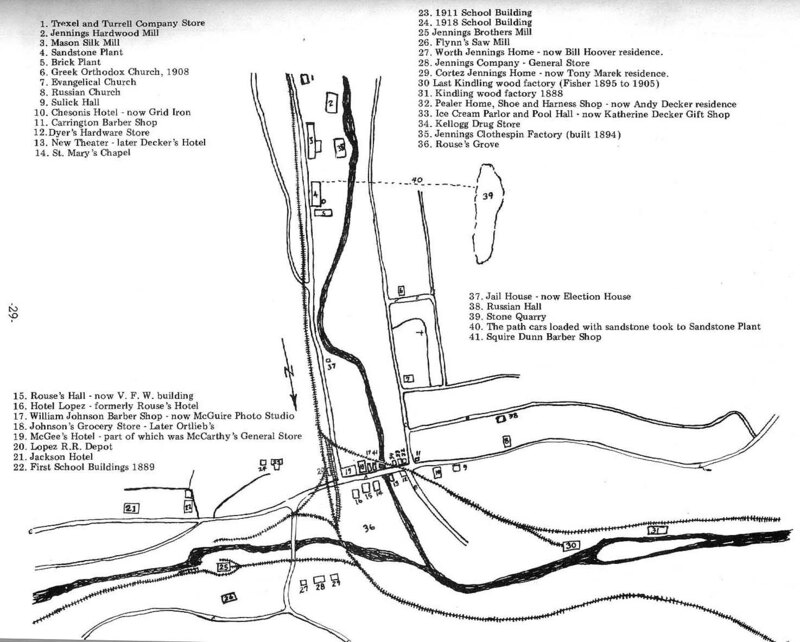 I like searching for small town track plans from the early 1900s, but I�m not very good at it. Lots of towns of the size I�m interested in didn�t really warrant a Sanford survey. And if we�re talking some of the narrow gauge railroads, they were so ephemeral as to have almost no record that they ever existed, except for the resources they cut or dug from the earth. Anyway, I�ve gathered a few that I like. Muddy Creek Forks, PA. Served by the Ma & Pa. This is a fantastic, attractive, interesting, achievable single-station layout for someone that can encorporate staging on both ends. Or freelance slightly and add a runaround and Bob�s yer uncle. How about Walkerton, Ontario c.1916? This can be modeled in HO in 2�x8.5� from the No. 9 switch to the bumpers with no compression! Add a 2�x4� staging as the bridge over the Saugeen River (A cassette made to look like the bridge?) and lots of fun to be had switching a coal shed, a brand new business of some sort (red �proposed lease�) an extensive team track, passenger station, freight shed, and livestock. All at the end of a CPR branch. Fun, fun, fun. Let me repeat... you can model a real place as it was built 1:1, in HO, in 2�x12.5� and have prototypical operations. Nifty! I�m having fun, if you couldn�t tell! Maybe 40(!) years ago, I had a couple volumes of the PA Logging RR books, and decided to bite the bullet for the 3 volume hardbound set. That's some of the best money I've spent on the hobby, I still get hours of enjoyment reading and looking at the photos. I think you're well on the way to a good layout, with some great town track plan inspiration posted here. A small thought on turntables: A single turntable is not much good from an operational point of view. If you plan to turn engines you need a second turntable on the fiddle yard extension as well. Of course, if your short line is powered with Climax or Shay locos none of this is needed.. Hank Johnston wrote a wonderful article in the May 1971 Model Railroader arguing this point; "Model Railroading with Shay Lokies"
Here�s Sonestown and the interchange of the standard gauge Williamsport & North Branch and the 3-foot Eagles Mere Railroad. Pretty neat. I love going through those lumber books and others on rural standard and narrow gauge lines in the northeast. They inspire work on the home layout even though my place and era are set. I�m enjoying your photos and maps. I find the colorized photo of Lopez interesting in part because of the prominent boxcar, a 28-footer from the 1880�s. Lettering and perhaps the doors have been updated but it is recognizable as an oldie from the exposed end beams. The LV built a couple thousand of these and similar cars. I�ve built 7.